It’s urban style and “built for the streets” quality has given Lugz it’s signature reputation in the tough apparel market. Since 1993, Lugz has been creating, designing, producing and marketing clothing and shoes for men, women and children that live up to the high standards of their customers. If you haven’t heard of Lugz, you may have seen their products endorsed by several big-name celebrities like MMA fighters, rappers and TV Stars! Whether you need a sturdy pair of work boots, or want something more casual for everyday wear, Lugz is constantly the trend setter in any genre. How cute are these boots! I know I can think of how these are gonna look with many different outfits. Jen from The Binder Ladies was able to review these amazing Tambora Spark Boots, and you can read the full review HERE! Now it’s your chance to win a pair of these comfy, stylish boots! 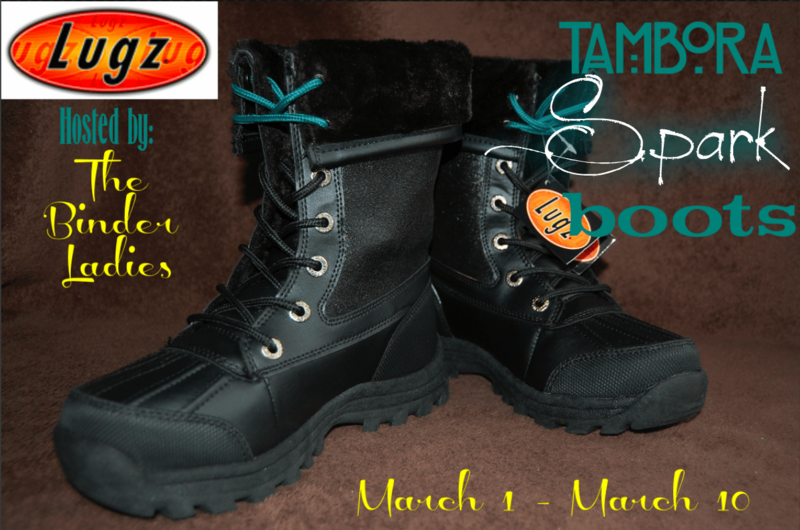 One winner will score a pair of Tambora Spark Women’s Boots! Enter the Giveaway Tool below for your chance to win! Giveaway ends on 3/10 @ 8am PST. The more options you complete, the more chance you have of winning! This is available to U.S. residents and Canadian residents, 18 years and older.